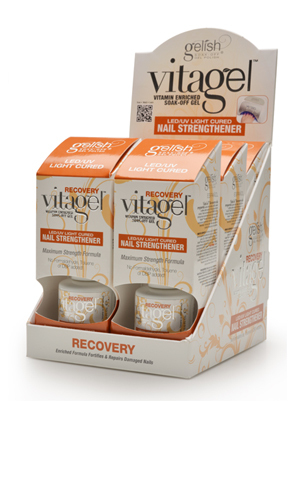 VitaGel's intensive soft gel formula is the most effective nail strengthener regimen yet. The micro-suspension technology stores molecules of vitamins A, B5 and E within the exclusive gel formula for a continuous release of nutrients into the nail bed for up to 14 days. 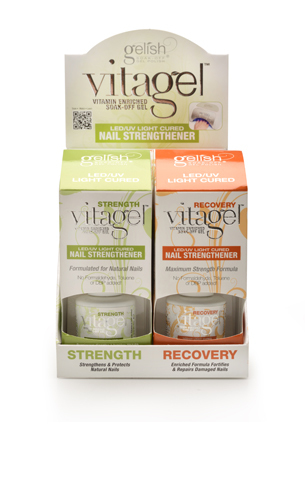 The combination of vitamins is specially formulated for the ongoing absorption of keratin into the nail plate. Encourages healthy nail growth and flawless wear.